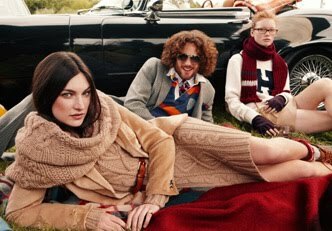 I’m not sure what this says about me, but so far most of my favorite fall ad campaigns are in the men’s magazine, Esquire. And Royal Tennenbaums. 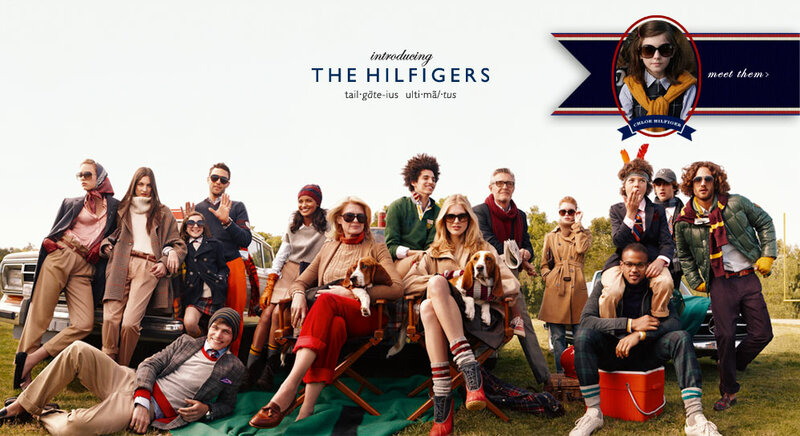 You can go on the site to meet the Hilfigers, for quirky descriptions that recall the cast of a Wes Anderson film. 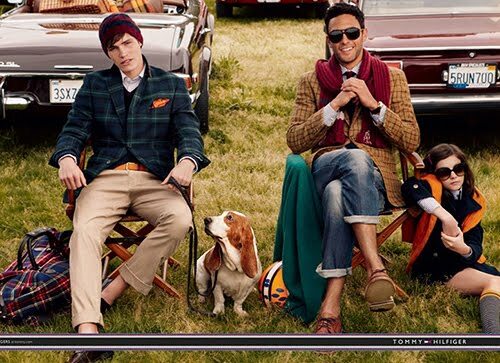 There’s Sam, the table-tennis champion (until a jam in the door of the Wagoneer dashed his hopes); Chloe, the child-prodigy who loves purple and bites her nails; Gracie the Columbia-grad-school dropout and urban farmer; and two basset hounds, Morgan IV and Morgan V; among many others. As I alluded to on my guest post over on Pretty Mommy today, my favorite bits of all might be the backdrops. I’d happily place myself in any one of those ‘70s or ‘80s-era cars. As Aron can attest, if airbags and up-to-date seatbelts weren’t a factor, I would choose the classic SL that my parents used to drive over just about anything on the road today. 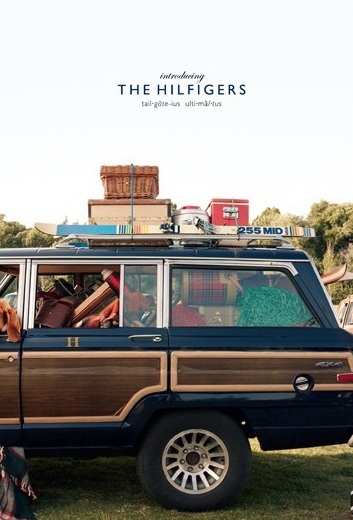 And remember when all your friends’ moms drove those wood-paneled Wagoneers? Those must be safe, right?